Music backup saves your My Music folder or other audio collection, to provide safety for your audio data. Handy Backup provides a perfect music backup solution, which is capable to track all your audio files automatically and make copies of these files both online and on local storage media. With Handy Backup, you can back up your songs, playlist data and music files of any formats to provide a complete audio backup for your collections. Unless you select a compression or encryption option, Handy Backup will preserve the native data format when copying your music files. This means that you can use any music backup file as an audio file just from backup, without a need for restoring it before playing or processing. You can schedule your music back up task to perform repeatedly with a planned period, from minutes (which as an extremity in case of music collection) to many months. 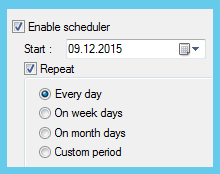 You can also set up an auto run for scheduled task that were somehow missed, or even start a task by plugging a USB storage into a PC! 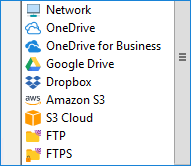 You can backup music to Google Drive or Dropbox, store audio files on external USB drives, copy your collections to an FTP server, or just copy it to a different place on your local disk. 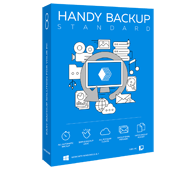 Regardless of your choice, Handy Backup will automate your backup actions! Simple Interface: Just Six Clicks for a Backup Task! With a graphical interface (GUI), you can quickly make a task for backup My Music folder with all its content including WMV, MP3, OGG, WAV and other audio backup files. Just in six clicks you will create such task by using the My Music component in the Windows Libraries section (see below)! Key Advantages: Why to Backup My Music with Handy Backup? Auto processing any other data types along with the audio files, possibly in just one task. These options not only transform Handy Backup into the most effective music backup software, but also allow implementing it with highest efficiency for any other backup tasks besides music backup. The Standard edition has all that you need to backup music online and offline, from saving single files to copy big collections and entire music libraries. Full-featured 30-days trial! Creating an audio backup task is quite simple. Open Handy Backup and create a new task by clicking on an icon or by pressing Ctrl+N. Then use the following sequence of actions. On a Step 1, select a backup task. Do not mark an advanced setup checkbox unless you need it! On a Step 2, click on the My Music item in the "Windows Libraries" list. Note: You can use the "Computer" plug-in and "File filters" option instead, to find music backup files in other locations (e.g., for making some external audio manager backup). For details, please refer to the User Manual. 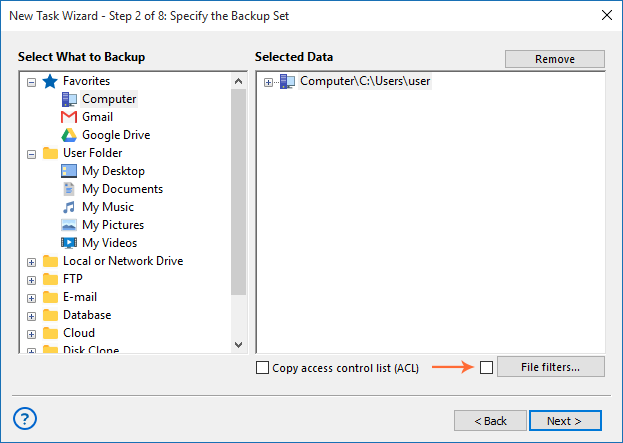 Select music files for backup and click OK to return to the Step 2 window. 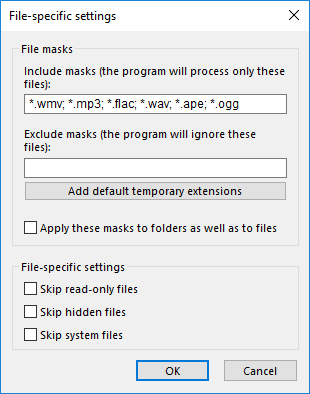 Enter the file masks for your music backup, divided by semicolon. Click OK and return to a Step 2 window. Double-click on the "Computer" option. Select the folders you need to proceed. Otherwise, Handy Backup will find all files by masks. Now select a destination for your music files. Set up other task parameters as described in the User Manual. That is all! 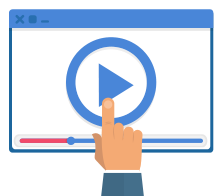 Note: If your plan to backup music online (or from online sources, such as Google Drive or Amazon S3), you will need to establish a connection between the chosen online storage and Handy Backup. The program requires this operation only once, unless you will change your storage. Guard your music collection with Handy Backup, which can automatically copy and protect your audio files!